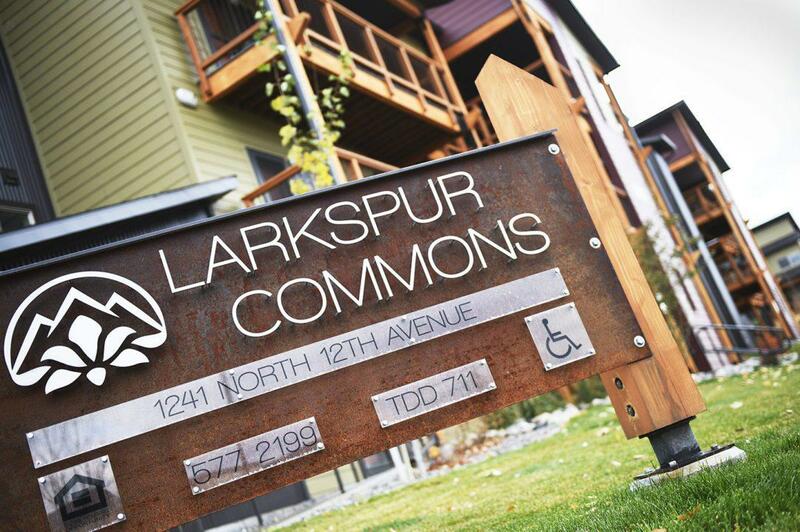 The Larkspur Commons housing development just off Oak St. in Bozeman is the last affordable housing project completed within the city. The city of Bozeman is looking to build more options around the city as waitlists continue to grow. A trio of bills endorsed by a committee of legislators who studied housing and local government issues between the 2017 and 2019 legislative sessions — House Bill 16, Senate Bill 15, and Senate Bill 18 — are designed to make that happen. If one or more is passed into law, they would expand the options available to developers who want to build modestly priced homes and apartments that wouldn’t pencil out without public subsidies. All three measures are early in the legislative gauntlet — and as of Jan. 22, SB 15 already died in the process. Statistics compiled by the National Low Income Housing Coalition, indicate there isn’t a single county in Montana where a worker can comfortably afford a market-rate two-bedroom apartment with a full-time job at the minimum wage. Around Lewistown, for example, the U.S. Department of Housing and Urban Development pegs the market rate for a 2-bedroom apartment at $771 a month. For a full-time worker at Montana’s $8.50-an-hour minimum wage, averaging $1,445 a month, that would require spending more than half their income on rent. “There’s just a real gap between the housing market and the wages market,” said SB 18 sponsor Sen. Margie MacDonald, D-Billings. It’s also the case, she said, that populations like seniors living in parts of rural Montana need cheaper housing options to be able to stay where they are. While the federal government and some Montana communities put public money toward subsidized housing projects, housing advocates complain that state government doesn’t currently chip in with its own money. The Montana Board of Housing does dole out federal tax credits to help organizations like Homeword make their projects work, but the organizations that compete for that funding say the pot is small relative to the need. For 2019, the state housing board has directed Montana’s $32.1 million allocation of federal housing tax credits to seven housing projects totaling 271 dwelling units in Havre, Ronan, Billings, Helena, Whitefish, Deer Lodge, and Livingston. For-profit and nonprofit housing developers had submitted applications for an additional 12 projects representing 428 subsidized units in places including Bozeman, Glasgow and Great Falls. At a local level, the city of Bozeman also directs comparatively modest amounts of property tax revenue to address its housing efforts, amounting to $166,000 this year. For example, Homeword’s 136-unit Larkspur Commons project, which opened in 2017, was subsidized by both federal tax credits and $200,000 in Bozeman housing money. Similarly, Big Sky’s resort tax board directed almost $2 million to a community housing trust last year. The bill would use $15 million from the state’s Coal Severance Tax Trust Fund to set up a loan program to help finance affordable housing projects. Since the state would earn interest on those project loans, the state General Fund would see a slight funding gain from the program, depending on how the loans perform versus existing coal fund investments. The bill had an initial hearing in the House Taxation Committee Jan. 11, and was awaiting a committee vote there as of Jan. 22. The bill would let state infrastructure funds, specifically the Big Sky Economic Development Trust Fund and Treasure State Endowment Fund, be used to help cover the costs of infrastructure (e.g., roads and sewer lines) necessary for affordable housing projects. A fiscal analysis attached to the bill by the Governor’s Office of Budget and Program Planning notes that those infrastructure programs are already under-funded relative to the number of projects seeking public money, meaning that housing projects would be competing for already limited funds. The analysis also raised questions about what specific types of infrastructure housing projects could seek support for under the measure, and whether single-family housing would be included. The bill was introduced to the Senate Business, Labor and Economic Affairs Committee, but Boland said Jan. 18 that it had been withdrawn in favor of giving the issue more study. The bill would create a state tax credit to help finance affordable housing projects by giving developers of qualified projects the ability to reduce their tax burden, with state credits piggybacking on the long-standing federal tax credits program. According to a fiscal analysis, the measure would cost the state as much as $3 million a year in forgone tax revenue, but MacDonald said she is open to adjusting the bill’s scope to give the idea a test run. As of Jan. 18, Senate Bill 18 was awaiting a hearing set for Jan. 23 before the Senate Taxation Committee. This story comes courtesy of Montana Free Press under CC-BY-NC-ND-3 license. First and foremost among the tasks facing Montana legislators as they open up the 2019 legislative session is producing a state budget — the set of bills that will ultimately direct how Montana’s state agencies spend billions in public money over the next two years.